Payton at 4 weeks old looks like she's got her eye on Grandma Neal's Barbie Corvettes! 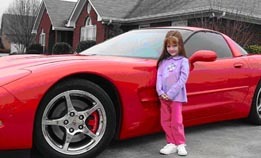 "When I grow up...I'm driving a Corvette. Look Out!" 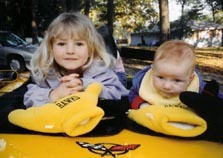 Here's Payton with Jace (FCOA 3072) on Grandma Di and the late Papa Don's 2000 Millenium Yellow convertible ("YLOFEVR"). 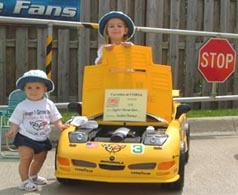 As you can see, they are already Iowa Hawkeye fans ~ very fitting for the grandkids of Cedar Rapids Corvette Club members. "When I grow up...I'm driving a Corvette!" T-shirts! Grandma Di and Papa Don bought their T-shirts at NCCC's 2002 Convention in Indianapolis. His Aunt Di says that Austyn likes to put money in his bank ~ hmmm, wonder if he's already starting to save for that first Corvette! 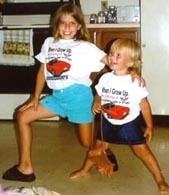 Hannah and her big sister Caylie (FCOA 1711) show their Corvette in June 2004 at the Corvettes at Corsa show. Looks like 5-year old Trevor is pretty proud of this bright, shiny 1976 Stingray! 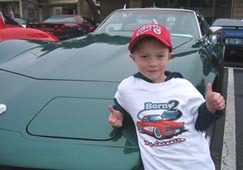 His very cool T-shirt says it all: he was born to drive a Vette! Trevor and his grandpa have two Corvettes, this '76 and a 2003 Z06. 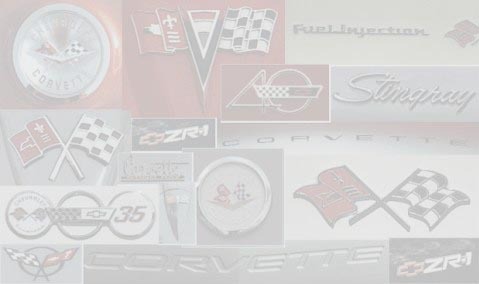 His Grandpa and Grandma Powers are members of Pomona Valley Corvette Association in the West Coast Region. 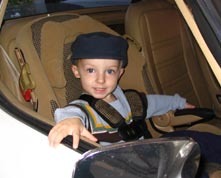 Colton is only the third "driver" of his Grandparents' 2003 50th Anniversary convertible. Grandpa & Grammy Walker are members of Cowtown Vettes in the Southwest Region. Looks like Dacian is all set to rev up Grandpa Long's 1990 convertible and take it for a spin! 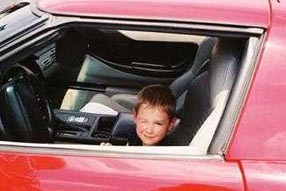 His Grandpa bought his first Vette in 1973 and joined San Jacinto Corvette Club at that time. 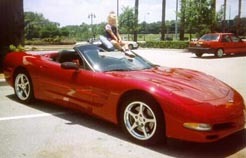 Here's Cayley sitting in her Nanaw's 2001 Torch Red convertible. Nanaw is a member of Cowtown Vettes in the SW Region. Connor is all buckled in and ready to go for a ride in Grampa Carnell's 1976 Vette! His grandparents are Members-at-Large in the Florida Region. Looks like Dylan might be practicing winking at the girls as they walk by during Corvettes at the Diamond in Round Rock, Texas! 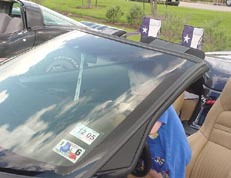 His Grandpa & Grandma Griffin are members of Cen-Tex Corvette Club in the Southwest Region. Braeden is getting ready for his very first ride in a Corvette at the Corvette Summer Celebration Show in Georgetown, Texas. 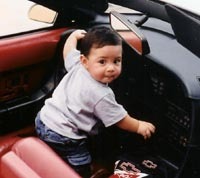 His Grandpa & Grandma Griffin are members of Cen-Tex Corvette Club in the Southwest Region. 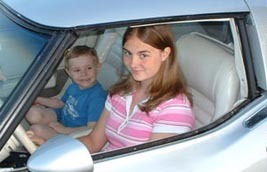 Laura and Jack enjoy "driving" this cool silver ‘79 L-82 Vette. 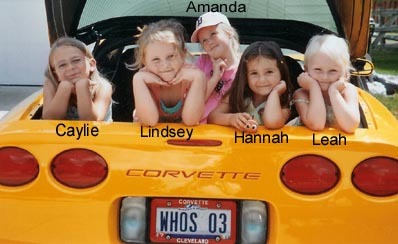 Their Mom and Dad are Members of Mid-Illinois Corvette Club in the Midwest Region. Dad is the Club Governor and also the Midwest Region RE.